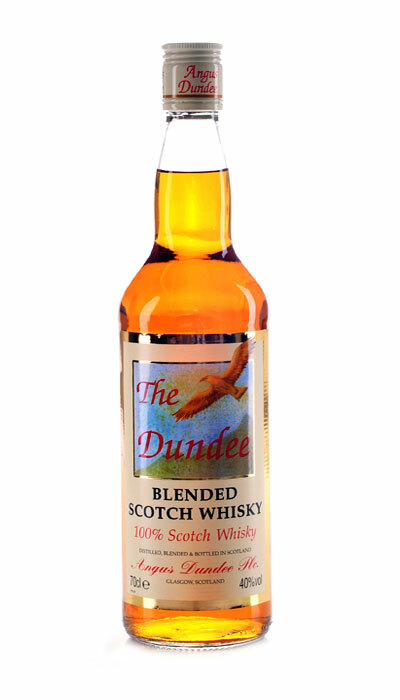 Angus Dundee Distillers is proud to launch its first very mature blended grain product. 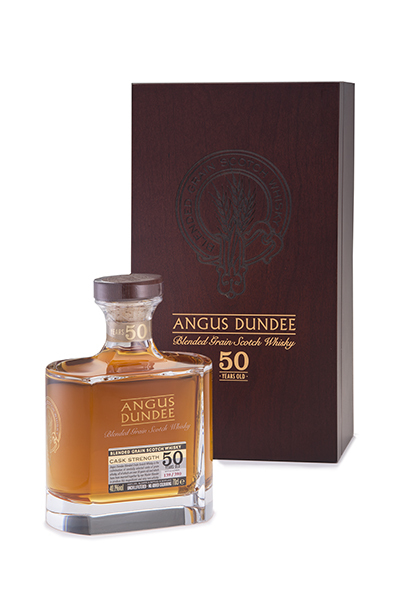 Angus Dundee 50 Year Old Blended Grain Scotch whisky was distilled in Scotland in classic column stills and was made using the finest wheat, un-malted cereals and malted barley. After more than 50 years of maturation in top-quality American white oak barrels, five casks were selected for their supreme quality and the result is a rich, fruity, sweet, toffee and vanilla-laced grain whisky which has acquired an exquisite and velvety character over time. 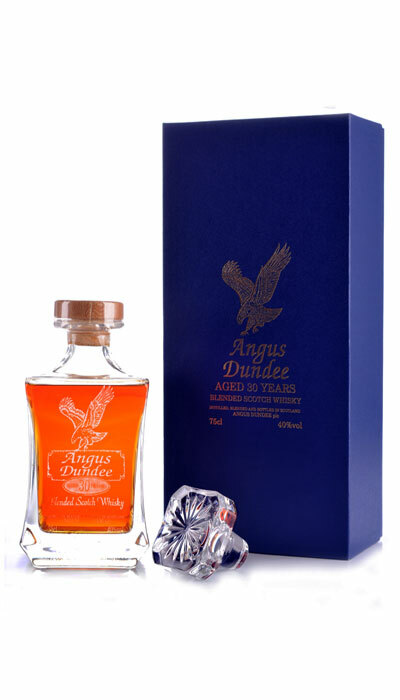 This extremely rare, limited release whisky has been bottled in the finest crystal decanters and is displayed in ornate, deluxe, velvet lined wooden boxes. Only 390 decanters have been originated and each one is individually numbered. Finish: Oozes a richly complex vanilla sweetness. This is some digestif!